Kai Cafe & Restaurant is a beautifully designed restaurant located at Sea Road, Galway. It is run by Chef Jess Murphy and her husband David. I have visited Kai three times since it opened and each time the experience has surpassed the previous visit. Kai is now, in my opinion, the best restaurant in Galway. It is the combination of exquisite food, excellent service and the warm and welcoming atmosphere that makes this restaurant a winner for me. The menu comprises five choices in each of its Beginning, Middle and End categories. On my most recent visit, the menu read so well it was really difficult to choose. 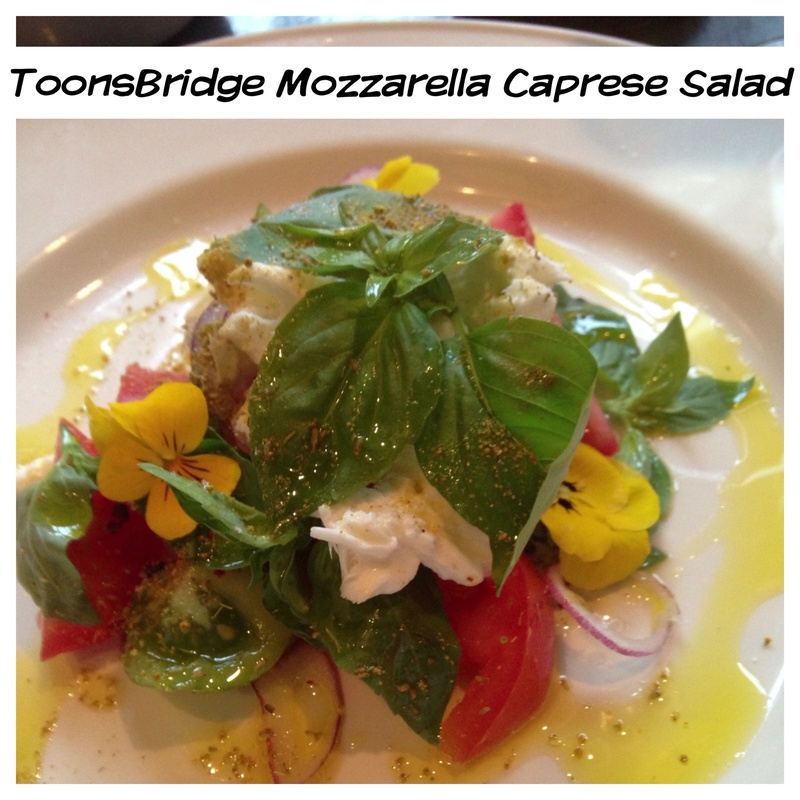 For starters, my dining companion chose Connemara Crab & Green Goddess and I chose a Toons Bridge Mozzarella Caprese. Other dishes included a Scallop ceviche with citrus and shiso, Lobster on toast and a Hen House board from Friendly Farmer. I was completely torn between the Caprese and the Hen House board but opted for the Caprese after much deliberation. 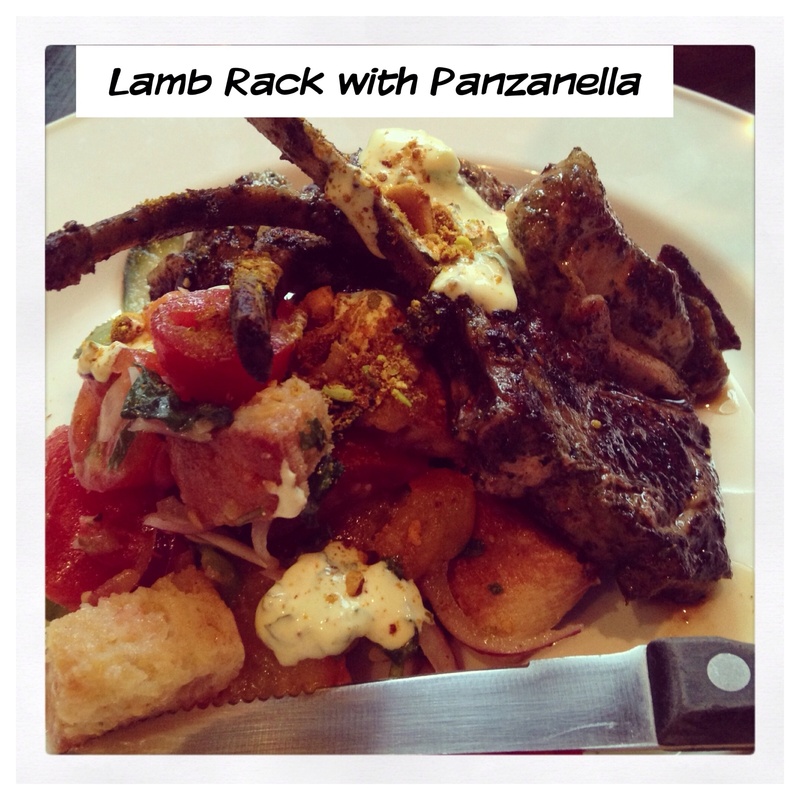 For mains, I chose the Lamb Rack with Panzanella and my friend the Spiced Monkfish with Black Bean Salsa. Other options included John Dory with Clam and Chorizo Casserole, Brady’s Striploin with Morel Butter and an Artichoke, Goatcurd and Heirloom Bean Salad. We also ordered a bottle of a 2012 Piccollo Ernesto Gavi and our lovely waitress enthused at our choice and gave the wine a glowing recommendation. She was spot on; this Gavi is truly wonderful and we thoroughly enjoyed it. Both starters were wondefully presented; each a riot of colour on the plate. I loved my Caprese which was up there with one of the best I have had – and as you can see from my blog’s signature picture, I often go for Caprese and love when taste and innovative presentation combine! 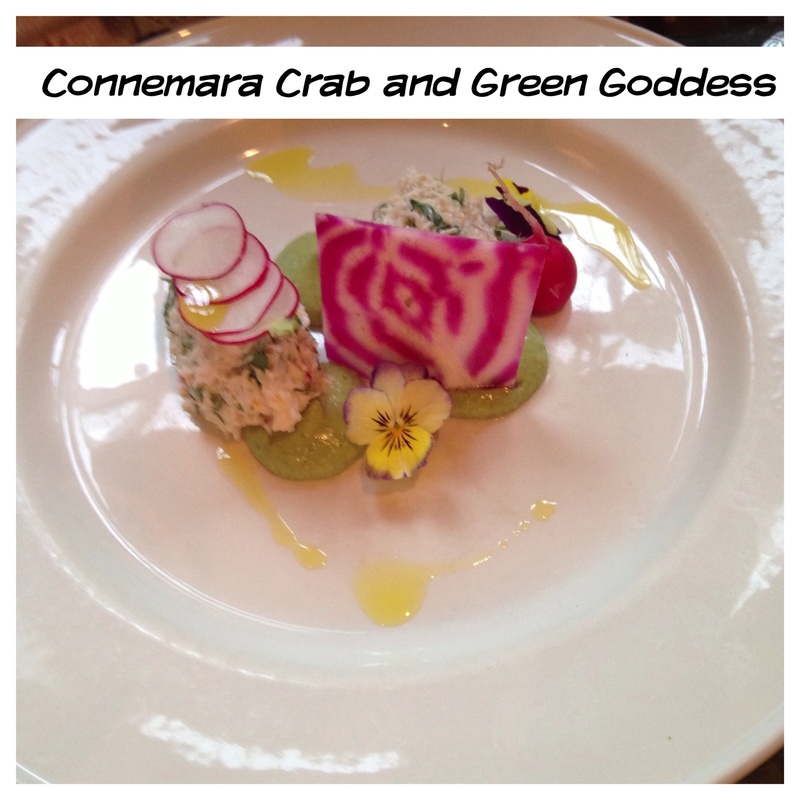 My friend pronounced her Connemara Crab and Green Goddess (Avocado) to be a winner also. The main courses were equally as good with my Lamb Rack cooked to perfection and the salad was vibrant and fresh. The monkfish and accompanying salsa was also excellent. We did not have room for dessert which was a real shame as we had watched with interest as desserts were being delivered to nearby tables. The Florentine Ice Cream Sandwich in particular had caught my eye, as had the Yoghurt and Blood Orange Pannacotta. Next time I visit, I will be making an extra special effort to be able for dessert! Kai is a fantastic dining experience. The dining space is gorgeous and the staff have created a wonderful ambiance which is hard to beat. The main attraction though is, of course, Jess’s wonderful food. Expect to pay around €50 each for two courses including wine and tip. sounds like a fabulous place, I love the dishes on the menu.